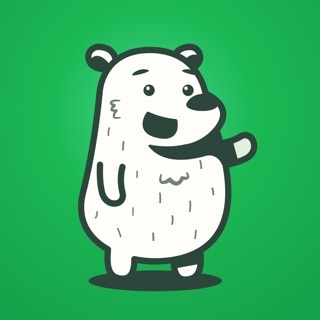 Bear is a focused, flexible writing app used by everyone from bloggers and web developers to aspiring authors and students! It has quick organization, editing tools, and export options to help you write quickly and share anywhere. Bear is used by bloggers, book authors, lawyers, students, teachers, cooks, startups, travelers, families, and so many more! Some export features require a Bear Pro in-app subscription. Learn more below. A single Bear Pro subscription unlocks sync and other features across all your devices. Learn more below. One low, yearly subscription enables a variety of features on all your devices and keeps the Bear hugs coming. Price may vary by location. Subscriptions will be charged to your credit card through your iTunes account. Your subscription will automatically renew unless canceled at least 24 hours before the end of the current period. You will not be able to cancel the subscription once activated. After purchase, manage your subscriptions in App Store Account Settings. Any unused portion of a free trial period, will be forfeited when the user purchases a subscription. Bear has grown smarter and faster when using our app extensions to collect articles from the web. Grabbing an article should be more accurate and more reliable on a wider range of web pages. Parsing the web is a big task, though, and our new parser might still have trouble with some pages. If it does, please report these errors to us at bear.app/contact/ to help us continually improve this tool. For those interested in the details: we previously used a tool called Mercury Parser to collect articles from the web. That tool shut down but open sourced their code. We used that as the base to create our own parser, then made a variety of changes and improvements. Welcome to Bear 1.6: The Siri & Navigation Edition! We packed some great stuff in this release, including 14 new iMessage stickers! Tap or click on any H1-H6 header for a way to link to that specific note’s section from other notes. This is great for working across multiple long notes, creating a personal wiki, and so much more! It’s 2018, but sync can still be hard. For Bear Pro users with sync, we’re making Bear more transparent about when it last synced and if there is anything causing trouble. Bear will try to be clearer about what’s going on if there’s an error, whether it’s a Bear Pro registration problem, iCloud is out of space or not set up properly, a poor internet connection, or a good ol’ fashioned error. Finally, if Bear ever runs into a sync conflict, it will now display affected notes in a “Conflicted” section in the Sidebar. - Dark Mode support for macOS Mojave! 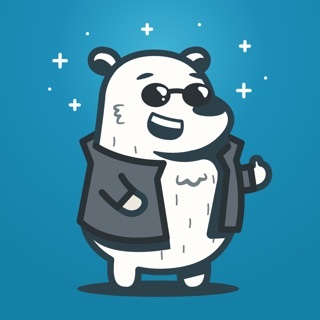 Let us know what you think of Bear 1.6 or how your latest writing project is going! — web-clipper работает кое-как. Большую часть страниц затягивает с проблемами. У Evernote это реализовано лучше. — мало реально полезных функций за подписку. По сути, я оформил подписку только ради синхронизации, так как без неё приложение вообще не имеет смысла. Большим плюсом приложения является дизайн и минималистичность UI/UX. Вот все отлично,только сильно нахватает входа по отпечаткам пальцев. Будет вообще? С каждой версией все лучше и лучше. Full access to all features for 30 days. Full access to all features for 1 Year.